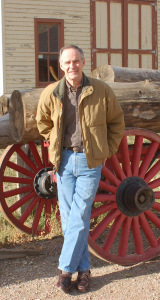 This week, it is my pleasure to introduce novelist, Wayne Zurl. Wayne is the author of many books, including A LEPRECHAUN'S LAMENT, which is now available in hardback. He has two anthologies scheduled for release this month, as well as another full-length novel set for publication later this year. Tricia: Wayne, I can't thank you enough for stopping by to chat with us about your work. Can you please tell us a little about your background? Wayne: Shortly after World War Two I was born in Brooklyn, New York. Although I never wanted to leave a community with such an efficient trolley system, I had little to say in my parents’ decision to pick up and move to Long Island where I grew up. Like most American males of the baby-boomer generation, I spent my adolescence wanting to be a cowboy, soldier, or policeman. All that, of course, was based on movies and later television. The Vietnam War accounted for my time as a soldier. After returning to the US and separating from active duty, the New York State Employment Service told me I possessed no marketable civilian skills. So, I became a cop. That was as close to military life as I could find. Now that I’m retired from the police service, I still like the cowboy idea, but have interrupted that aspiration with an attempt at being a mystery writer. Years ago I left New York and now live in the picturesque foothills of the Great Smoky Mountains of east Tennessee with my wife, Barbara. We’re not too far from the small fictional city of Prospect where all my stories take place. Tricia:. What made you decide to become a writer? As an adult, I always ended up writing something. The Army needed after-action reports, and if all the narrative I wrote for the police department was printed on a continuous roll of toilet paper, it could encircle the globe…twice. That gave me more than twenty years of practice. After I retired, I took a volunteer job at a Tennessee state park where I wrote publicity for their living history program. That led to other non-fiction magazine articles. I got lucky and found publishers who bought twenty-six over a ten year period. When my span of attention for non-fiction dwindled, I started playing with fiction. At the time, I knew only one rule of creative writing: Write what you know. So, I chose to take a retired New York detective, make him a Tennessee police chief, and drop him into a sleepy little Smoky Mountain town with a homicide rate greater than Detroit. That may require readers to occasionally suspend their disbelief, but I figured if Jessica Fletcher could watch 90% of the residents in Cabot Cove get killed, Sam Jenkins could solve a few murders in Prospect, Tennessee. Tricia: Your novels center on your main character, Sam Jenkins, and his experiences as a police chief. Can you tell us about Sam and how he has evolved throughout the series? Wayne: Sam was an easy character to write, especially his dialogue. His cases are based on actual incidents I investigated, supervised, or just knew a lot about. So, in any given situation, what I would say was fair game for what Sam could say. But all of real life needs embellishment to make it good fiction. When I started writing, I thought fiction could be my avenue to take these cases and make them come out perfectly. I’d give myself the opportunity to “fix” those times when I had wished I said something differently or done something I’d forgotten to do. I’d make Sam 100% efficient and all the cops and ex-cops reading my stories would be envious. Then, while writing A NEW PROSPECT, I hired an editor / book doctor to help me through the technicalities I knew nothing about. After we got to know each other, he asked, “Are you nuts? Your protagonist is perfect. Nobody’s perfect. Perfect is boring. Make him do something stupid. Make him trust the wrong person. Make him put himself or someone else in jeopardy. Create tension. Have him piss of the wrong person. Create conflict. Make your readers grit their teeth.” Once he stopped ranting, I began thinking. In the books I read—those written by best selling authors—the hero always does something to make me say, “Hey, He’s an experienced detective, he should know better.” Well he really did know better, but so did the author. That’s why Philip Marlowe often entered a dark building without backup, and each week Jim Rockford got knocked on the head while he peeked into those windows without someone to watch his back. So, I gave Sam Jenkins a few flaws. He rarely keeps his mouth shut when dealing with the politicians who try to interfere with an investigation or influence his judgment. He gets impatient at times and might take action before the adequate backup arrives, and for a happily married man, he often flirts with the attractive women he meets. I’m always waiting for his wife, Kate, to lower the boom. Biographically, Sam and I share similarities: The Army, the large New York police department, and a few other interests like old British sports cars and cooking. If anything, Sam hasn’t changed as much as I have. I try to tell my stories in as few words as possible. In doing so, I draw from my study of Robert B. Parker who did a great job with his minimalist style. Sam, the character, doesn’t mellow. He’s still a hard charger who gets older and has less toleration for the politicos who give him pressure. Art imitates Life. Tricia: Apart from Sam, who is your favorite character and why? Wayne: I’ll let two women share Sam’s “Faithful Sidekick” award. Most readers like them both. His wife Kate comes first. She’s pretty, smart, and helps stimulate his little gray cells when he’s at a loss for what to do next in a complicated investigation. I think of her as being on a parallel with Nora Charles from Dashiell Hammett’s THE THIN MAN. When the series begins, Sam and Kate have been married thirty-nine years. That’s unique in a cop’s life. Because of the nature of the job, many marriages don’t last. Some police officers change spouses as often as we change our socks. Kate deserves lots of credit for staying for the long haul—at home and now being an unofficial member of the Prospect PD team. The second candidate for best number 2 character is Sam’s admin sergeant, Bettye Lambert. From their first meeting in A NEW PROSPECT, Jenkins recognized her as a sharp piece of work. Being a beautiful forty-two-year-old blonde with sparkling hazel eyes didn’t hurt either. And Bettye is a loyal partner. Throughout all the shenanigans Sam Involves himself with, Bettye is right there with him. We often hear her say, “Sammy darlin’, what am I gonna do with you?” but she’s a good cop and knows Sam’s the boss. Bettye is like several officers I knew. Most of the time, she takes care of the day to day chores necessary in every PD. The street cops make the flashy arrests and get the publicity, but nothing would function without the Bettye Lamberts of the world. Tricia: Which book was the most challenging to write? Why? I jumped through hoops to bury any back-story about Sam’s former life as a New York cop. Most traditional mystery publishers wanted a body no later than page three. Some wanted the opening scene to take place with the protagonist standing over a corpse. I always wanted to start this series with the first book setting the scene and educating the reader about the characters and the Smoky Mountain region, which I wanted to give character status itself. I also wanted to include something I think many police mysteries lack today—authenticity. I feel at ease asking readers for a little suspension of disbelief with major issues that make a better story if I keep all the technicalities and small details correct. Often these details amount to things a civilian writer would never learn by taking a short course at a writer’s conference. I’d never write something a critic would call boring, but I also wouldn’t entertain the concept of writing mindless action as we see happen so often—it’s just not authentic. And I prefer not to pander to a few action junkies. I’d like you to see police work as it really is. I know the producers of the James Bond movies make more money than I’ll ever see, but I think Ian Fleming would flip over in his casket if he saw what Hollywood has turned his novels into. After all the work on NEW PROSPECT, I still couldn’t get an agent interested. One person actually said, “A sixty-year-old retired New York cop in Tennessee isn’t really trendy. Think about making him a teenage vampire, private eye in Orange County.” I abandoned the agent thing and queried any publisher who would accept submissions directly from an author. At four from the bottom of my list, I received a reasonable contract. In retrospect, all the time it took to rewrite and restructure the book was worth it. Okay, now here’s my shameless pitch mentioning how A NEW PROSPECT was named best mystery at the 2011 Indie Book Awards, how it’s currently a finalist at the 2012 Eric Hoffer Book Awards, and has been nominated for a Montaigne Medal. The second book, A LEPRECHAUN’S LAMENT, went much smoother, but it’s based on what I consider the most bizarre and frustrating thing I ever investigated and I hope readers believe it really could happen. Tricia: As an author, you’ve explored a variety of publishing options. With A LEPRECHAUN'S LAMENT now in hardback, has your new publisher changed the way you market your books? Wayne: The first publisher I used for NEW PROSPECT was very supportive in that he provided all the free copies I needed for reviewers. I chose to go with Iconic Publishing for A LEPRECHAUN’S LAMENT for several reasons, one of the most important being his commitment to seek out brick and mortar bookshops to host book signings and stock my stuff on the shelves. It’s a great help when someone with a publisher’s title and horsepower paves the way with these traditional retailers who aren’t used to doing business directly with writers. And Iconic handles all the details about providing paperbacks to those merchants who see a benefit (and bigger profits) in stocking those. They also do all the work of formatting the manuscripts for various eBook formats. That’s a big plus because technologically I’m barely a step above clueless. However, no matter how or with whom you publish, authors must take on lots of work with the post-publication promotions and marketing. For a guy who last worked on computers that were seven feet tall, I’ve gotten overly familiar with Twitter, Facebook, and several other electronic media biggies. Tricia: Are there any new Sam Jenkins novels in the works, or can you tell us about your current work in progress? Sam Jenkins might say, “Falling in love is like catching a cold. It’s infectious and involuntary. Just don’t sneeze on any innocent people.” But Sam’s common sense philosophy is not something he always follows. Becoming infatuated with a married policeman and getting kidnapped never made TV reporter Rachel Williamson’s list of things to do before Christmas. Helping her friend, Sam Jenkins, the ex-New York detective and now police chief in Prospect, Tennessee, with a fraud investigation would get her an exclusive story. It all sounded exciting and made her station manager happy. But her abduction by a mentally disturbed fan, ruined several days of her life. After some old-fashioned pressure on an informant produces an important clue, the chief leads his team deep into the Smoky Mountains to rescue his friend. But after Rachel is once again safe at home, he finds their problems are far from over. I augment the Sam Jenkins series with shorter novelettes (approximately 10,000 words each) that are produced as audio books and simultaneously published as eBooks. Currently, there are ten available for sale, three more are under contract, and I recently submitted another, GYPSIES, TRAMPS & THIEVES that’s sitting on the acquisition editor’s desk at Mind Wings Audio for review. I enjoy doing these because it’s like writing scripts for an hour-long TV show. Or in this case, radio show. Each must fit into 55 to 70 minute presentations read by professional actors. David Colacci does a great job portraying Sam Jenkins in all the books. Jano Donnachaidh, the owner of Iconic Publishing had been monitoring an online writer’s workshop I belonged to and read the chapters of a novelette called THE GREAT SMOKY MOUNTAIN BANK JOB as I posted them for review. This is where we met. He contacted me and offered to put these eBooks into print. Later this month, two anthologies will be released with five stories in each: A MURDER IN KNOXVILLE and Other Smoky Mountain Mysteries and REENACTING A MURDER and More Smoky Mountain Mysteries may be pre-ordered at a nice discount until April 27th. And I’m currently sprucing up another full-length novel I have roughed out. GROUND HOG’S DAY takes Sam Jenkins into the world of country and western music after a famous singer and former resident of Prospect receives death threats when she comes home to do a benefit concert. Tricia: Which authors have inspired you? Wayne: I credit Robert B. Parker with being most influential to my writing. His first Jesse Stone novel, NIGHT PASSAGE, inspired me to write A NEW PROSPECT. Stone was an ex-LAPD detective who found a job as chief with a small Massachusetts department. With that idea, I created Sam Jenkins and the twelve other members of Prospect PD. I read everything James Lee Burke writes. His ability with descriptions of people and places is second to none—poetic at times. I like Bernard Cornwell’s historic novels. He’s a master at writing action scenes. And there’s that other guy from Long Island who writes thrillers and mysteries, Nelson DeMille. He does a great job with his series featuring Detective John Corey. Tricia: Where can my readers go to find out more about your work, or to purchase your novels? Wayne: My website is the best place to see everything from more information about Sam and me to summaries and excerpts from each story to pictures of the area where the action takes place. There are plenty of links to all the usual book sellers and my publishers, and buttons to help someone find me at Twitter and Facebook. http://www.waynezurlbooks.net. Thanks, Tricia, for inviting me to your blog and giving me the opportunity to meet your fans and followers. Tricia: Thanks again, Wayne, for speaking with me. And, to all my readers out there, I appreciate your time! Obviously this interview page is called "Authors to Watch," and it goes without saying that each author I've had the pleasure to have interviewed is up-and-coming and truly worth a read. But, Wayne? This guy isn't up-and-coming. He's already THERE! I highly recommend that you take some time to hop over to his website. There, you can read the pitch for each book, and there's even an excerpt or two. I promise there's something for everyone, so check it out! Great interview, Wayne and Tricia! Enjoyed the interview with Wayne. Thank you or sharing Tricia. I like that he writes what he knows. I'm sure he will be someone to watch. Thanks for the comment, Patricia. He writes what he knows and he does it so well! Very interesting. I read some of Wayne's work a long time ago on a writing site is belonged to. I'm glad to see he's doing so well. It's very inspiring. Wayne was a pleasure to interview. Thanks for your comment, Barbara. Thanks, Amy. It was fun! Excellent interview of an author that is well-deserving of all accolades. All the best to you, Mr. Zurl. Thanks for allowing me to Visit your blog. And thanks everyone for reading my interview and taking the time to comment. He is very inspiring. Thanks for the comment. Thanks for your visit, Wayne. I hope to have you back.